Vehicles are issued registration to prove that license fees and taxes have been paid up to date. Drivers may receive a license plate, a decal and a registration certificate that they must keep at hand in their vehicles. During a routine traffic stop, an officer is entitled to request proof of your vehicle registration. Driving without a vehicle registration or with an expired tag is illegal in every state. However, rules and penalties vary by state. Regardless of the severity of these penalties, you will be subject to pay fines, fees and may even have your car impounded at the scene. Register your vehicle as soon as possible to avoid major consequences. 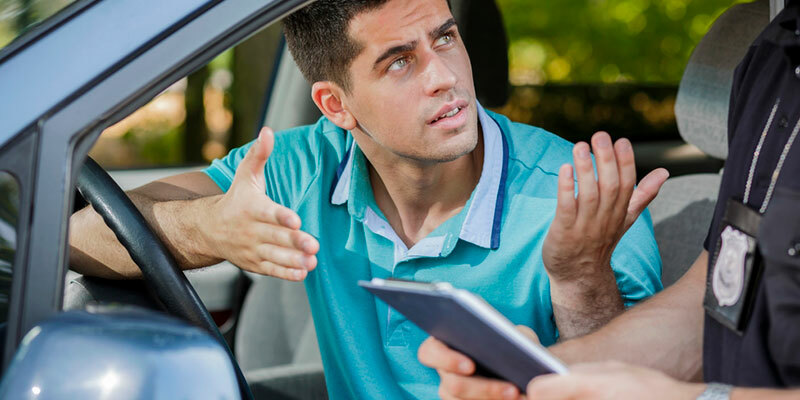 Our team at CarRegistrationAdvisors.org is showing you three consequences of driving without vehicle registration in the sections below. If you are pulled over or your vehicle is found parked in a public area as unregistered, you may face a small fine to potential jail time. This is all dependent on your previous driving record, the type of vehicle involved and the nature of the offense. Fines may vary depending on how long your vehicle has been unregistered since you’ve owned it. Fines may also vary depending on whether you have been driving with an expired registration or a car that has never been registered. Fines can range from hundreds to thousands of dollars depending on the determining factors previously stated. CarRegistrationAdvisors.org advises that you check your state’s deadlines for obtaining and renewing vehicle registration. Your vehicle will most likely be impounded or confiscated and held in a lot until you receive approval to gain control of it. This impoundment will include a towing fee and accumulated fees for everyday your car sits in the lot. Driving without vehicle registration may lead to immediate, mandatory license suspension in some states. States with point systems, may suspend your license if you have received too many driving record points. Different traffic violations correlate to the amount of points you may receive. Driving without an unregistered vehicle contributes to the accumulation of these points, making yourself more likely to get your license suspended. You may get pulled over for committing another traffic violation such as speeding. As a result, you will receive points for both speeding and driving an unregistered car. Our team at CarRegistrationAdvisors.org advises you to practice safe driving to avoid an accumulation of points. In order to get your license reinstated, you may pay hundreds of dollars in fines and fees. You will be prohibited from driving for a specific period of time and you will most likely have to enroll in a defensive driving course or traffic school. Even after participating in these efforts, CarRegistrationAdvisors.org assures a long-lasting mark on your driving records. Auto insurance companies allow you to obtain insurance before getting your car registered. However, these companies expect you to do your due diligence as a responsible driver and register right away. If you are caught behind the wheel of an unregistered car or in an accident, it will negatively impact your driving record and your insurance premium rates. Auto insurance companies consider those with bad driving records high-risk drivers. High-risk drivers pay expensive auto insurance premiums for years. Here at CarRegistrationAdvisors.org we emphasize the importance of registering your vehicle as it can become a financial burden for you for many years. In addition to increased insurance premiums, you will be held liable for any damages, losses and personal injuries if you are in an accident while driving an unregistered vehicle.